In order to meet a wide range of requirements and achieve highly precise and highly aesthetic results, the equipment of a dental lab or milling center must meet diverse criteria. At the IDS 2017 in Cologne, from 21 to 25 March the visitors of the DATRON booth will experience a great product variety "Made in Germany" for individual requirements in the dental lab and milling center. Therefore the mechanical engineering specialist from Germany relies on its years of industrial know-how. The proven ultra-compact 5-axis milling machine DATRON D5 LS with linear scales is suitable for machining a wide range of materials and delivers consistently high quality and performance at the highest level. Thanks to its compatibility in the hybrid production process, the DATRON machine system sets standards for demanding dental processes in milling centers at IDS. With its DATRON C5, DATRON AG proves its many years of experience in industrial machine construction bring great benefits to the dental sector. The compact machine for the production of small parts is suitable for a wide range of applications in dental milling centers due to its 5-axis machining technology. 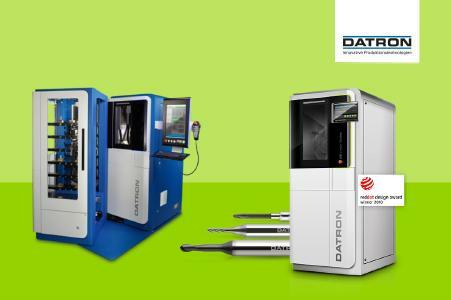 Also in the manufacture of the DATRON dental milling tools, the mechanical engineering specialist relies on the tooling know-how from more than 25 years of experience in the field of tool manufacturing. The DATRON fully hardened metal tools for the dental sector not only meet DATRON's machine requirements but are also compatible with a wide range of machines from other manufacturers. Rupert Flögel, DATRON Dental Product Manager, explains: "DATRON is constantly expanding its range of products for a successful dental production. Based on our many years of experience in industrial engineering, we supply industrial manufacturing technologies for added value in milling centers and labs. " Visit the DATRON booth L008 / M009 in Hall 3.1 at the IDS 2017 in Cologne. Our DATRON experts are looking forward demonstrating innovative DATRON dental technology. DATRON has been on a profitable growth path for years. Thus, sales of around EUR 42.6 million were achieved with more than 25 sales partner worldwide in 2015. Currently, DATRON employs around 250 People. The company has received many awards during recent years. The consulting firm Munich Strategy Group (MSG) ranks DATRON among the most innovative SMEs in Germany (DATRON achieved position 30), published in an independent study at the end of 2015, and further ranked DATRON as a TOP 100 company. 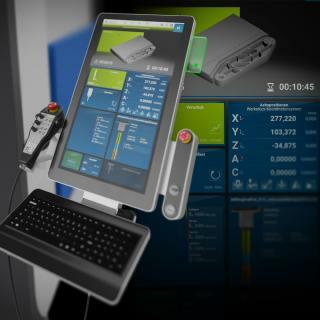 Most recently DATRON AG received the "Customer Champion 2016" award at the end of April and the Red Dot Industrial Design Award 2016 for the brand new industrial CNC milling machine DATRON neo plus the red dot communication award for its control software DATRON next. Further information can be found at www.datron.de. 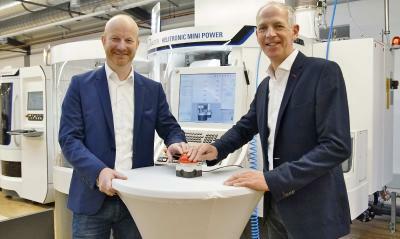 DATRON AG sets standards for demanding dental processes in milling centers.